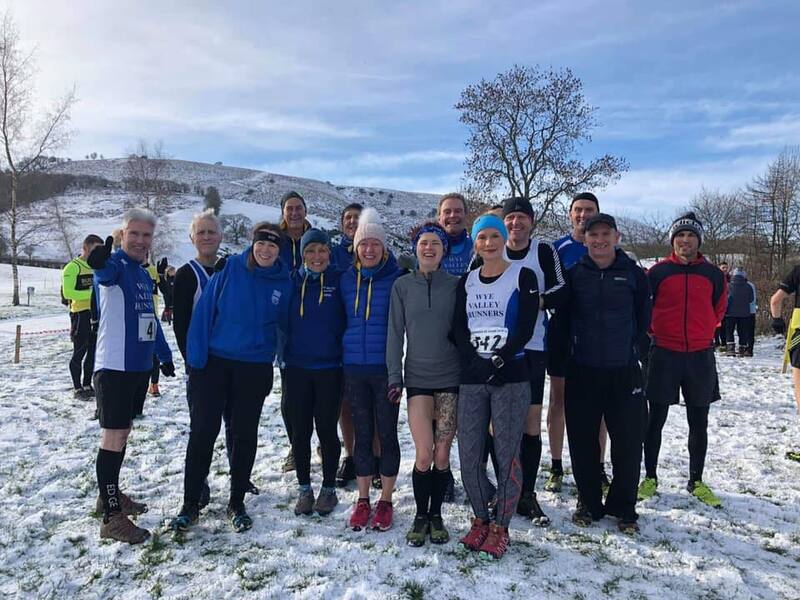 The 4th race of the Herefordshire Cross country league took place today at a bright but snowy Fforest Fields. The organisers Builth had done a fantastic job to make sure that the race went ahead and wasn’t cancelled for a second time. A depleted Wye Valley Runners Ladies team ran superbly to finish fourth on the day and maintain their overall lead in the league. The men had a much better result to finish second on the day and move up to third overall. All to play for at the final fixture at Presteigne in 3 weeks time.